A source of the Taipei Times claims the upcoming Apple Store will have 1,322 square meters (14,300 square feet) of floor space within Taiwan's tallest skyscraper. The industry insider advised to the report the store will be located on the ground floor and the first basement level of the mall. Apple's intention to launch an Apple Store in Taiwan was confirmed in July last year, after a number of job openings for retail positions were posted on its Jobs at Apple page. 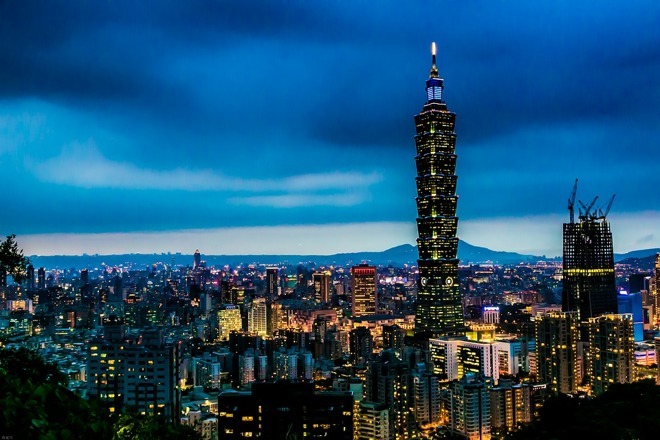 At the time, Apple did not disclose the location for the store, but Taipei was thought to be the most likely destination due to being the country's capital. A search on Apple's jobs board by AppleInsider shows a number of new retail postings in Taipei posted earlier today, including leadership, specialist, and Genius roles. None of the advertised jobs mentioned Taipei specifically, but do specify they are for a "Retail Store" within Taiwan. The timing for the new branch's launch was not revealed by the report's source, but the new job openings and the apparent discovery of where it will be located could be considered signs that it will open before the end of the year. In the same report, it is noted that one premium reseller will be closing its store in the mall on April 17. Studio A has apparently seen a year-on-year decline in business over the last three months, attributed to a drop in tourism from China, but the company is apparently planning to improve its repair services at other locations to compete against the Apple Store once it opens. It is unclear if there is any other connection between the reseller's store closure and the rumored incoming Apple Store in the same building. Taiwan has become the last Greater China region to have an Apple retail outlet, with 40 stores already in operation in the country. Greater China is a considerable source of revenue for Apple, accounting for $16.2 billion in the most recent quarterly financial results, and may overtake Europe in terms of revenue generation in the next few quarters. The importance of Greater China hasn't been lost on Apple, with the company recently announcing plans to set up two research centers at a cost of $507 million. Last month, Apple CEO Tim Cook visited China in order to bolster relations with the country's central government, as well as to speak at the China Development Forum, an annual conference sponsored by the Chinese government.